We’ve all been there: starting a new business and not having any work, or hitting a slump with no new orders rolling in. 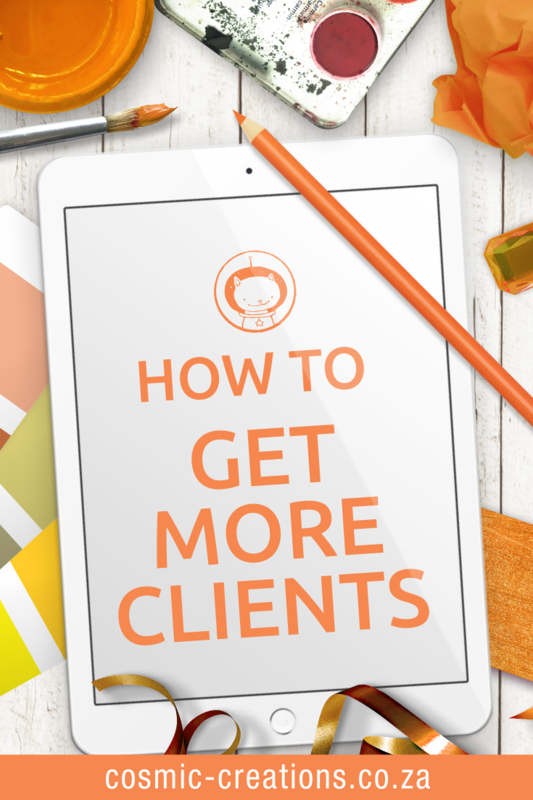 The main reason biz owners struggle to get clients is because they just don’t know how to. There are loads of courses out there promising you a ‘six-figure income’ if you sign up. You know the ones. How they earn their six-figure income is by suckering everyone who wants a quick-fix money-making solution. Let me tell you that there isn’t one. I’m going to repeat it: there is no magical quick-fix money-making formula. You have to have a plan that works and stick to it. It’s that simple. There is a process that I use when I need to accelerate my orders, and that I share with clients who are starting out or need help increasing their turnover, long-term. I’m going to share the outline of that process here because I know that it will help you if you follow it properly. But bear in mind that it takes time and depends on the niche you’re servicing, how established you are in the market, and how audience-appropriate your brand aesthetic is. This method will work for most businesses but you have to follow the steps consistently. If you stop when you do start making more money, then you will hit a slump again. Here goes. If your product or service isn’t solving a problem for someone then it doesn’t have a purpose and people won’t understand why they should buy it. Make sure you are clear about exactly what it is your product/service is doing to change lives and make sure you use that information in your advertising. Your business may be solving more than one problem, in which case start by focusing on the one that’s going to bring you the most income, and then add the others later. You can only know who your clients are once you know the problems your various services are solving for them. If you remember nothing else from this article, remember this: everyone is not your client. 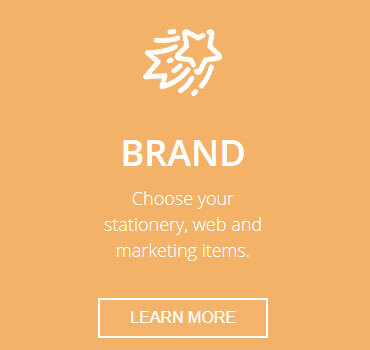 Pinpoint exactly who your client is and go for the jugular by making sure that all your promotional material around that product or service is compiled specifically for that audience. Start with scheduling time every day, or once a week (about 3 to 4 hours a week), for working ON your business. The main part of your plan should be putting your biz in front of the right people. Decide which route/s you’re going to take to do this: the more the better, but make sure your plan is doable and not unrealistic for you to achieve. Start with fewer options than you can manage and build from there. Think carefully about where you’re going to promote yourself, and make sure that your ideal clients are actually hanging out there. It’s a waste of time posting in hundreds of Facebook groups every week if people in your niche aren’t seeing them. Time is money so rather invest in paid advertising to a targeted audience, even if you start with a R20-a-day Facebook ad, and run it for 1 week a month. Marketing is largely visual. A beautiful, well-balanced image will get more attention than a pixelated, unprofessional, or badly designed one. Great graphics will give you a big ‘step-up’ on the marketing ladder. Having great images plays a very large part in getting and keeping clients, especially if your competitors have great graphics and you don’t. If you don’t have the funding to hire a photographer to take professional pics of your products, you can do it yourself, using your phone. Read this post on how to take pro phone photos. If yours is a service-based business and you don’t have a physical product, or you just don’t have time to create your own relevant photos, there are loads of websites where you can download beautiful, free stock photos to use in your marketing. My favourite one is Unsplash. You can use free apps like Canva or Snapseed to edit your photos, apply filters and overlay text onto them really easily so there is no excuse for having crappy marketing images if you can’t afford to pay someone to make them for you professionally. Keep focusing on that one product for at least a month, or until your sales start increasing. Make a note of which promo avenues worked best and then focus on those going forward. If you can, always include the cost of the product or service in your promotions so that people know straight away if they can afford it or not and their time isn’t wasted emailing you unnecessarily or looking for prices. Once you have your primary product chugging on nicely, then choose the next product/service to focus on and repeat the process with that. Whatever you’ve included in your plan, make sure you stick to it religiously. If you find that you’re battling to keep consistent, work out what’s stopping you. Maybe you’re trying to do too much, in which case you need to rethink your plan and make it more manageable. It’s better to put a single post on Facebook or Instagram every day than to try sharing posts across a host of platforms inconsistently. The reason consistency is so important is because it creates ongoing awareness of the thing you’re promoting. When people see the same thing frequently, it sticks in their minds and the chances of them contacting you when they need that service is much higher because they start associating you with that product or service long-term. This sounds like a no-brainer, but it’s surprising how many biz owners think they’re connecting with their clients when they actually aren’t. Connecting with your clients means knowing what they like, what gets them excited, what stresses them, their problems, etc, and using that information when you talk to them in your social media, website and emails. Sending a random email every few months to advertise your business isn’t connecting with your clients. Publishing a post on Facebook once a week and nothing else useful isn’t connecting with your clients. Treat your clients like they are a close circle of your best friends. Learn how to be personal and style your written communication informally, using the same tone you would if you were speaking to them face-to-face. There is so much selling online and in the real world that most intelligent people really don’t respond to being sold to in an invasive way any more. People like to have a choice when it comes to buying. They don’t like to feel pressured (think about how you feel about being sold to). There is a way to ‘sell yourself’ without being salesy. Sell how you would like to be sold to. With any sales-type media you share, make sure that you’re creating a positive association with what you’re selling. As soon as a person feels like they’re being sold to in an invasive way, they’ll get annoyed = negative association, which in turn will lead to them avoiding you instead of welcoming you. Look at your ad copy, your email content, and what you’re posting on social media relative to your product or service, and ask yourself if you’re being salesy. If someone else from another business used the same wording as you and sent it to you, how would you feel about it? Also, have a look at your favourite brands and products and take note of how that company is advertising themselves. Then think of ways you can apply the same selling techniques they’re using in your own business. List-building is very much alive. And if you aren’t meticulously building yourself a mailing list then you’re shooting yourself in the marketing foot. Although social media seems the best way to reach your target clients and gain loads of followers, at the end of the day those followers are owned by Facebook. And should Facebook (or any other social platform) decide to shut down your account, you will lose all of those followers. When you build your own mailing list of potential clients who are genuinely interested in your offering, that list belongs to you. If you use a lead magnet (like a valuable giveaway) specifically created for your ideal clients, you will attract that sector of clients to your mailing list. It’s really easy to do this using a platform like MailChimp. You don’t even need a website. It’s free and the little bit of effort is very much worth it. The key point here is to make sure that your giveaway is valuable and that you email your list regularly (at least once a month), but not so often that it becomes irritating. Make sure your emails are short and quick to read, and contain something of value that your subscribers can actually use. Don’t use every email to sell something, but rather talk ‘around’ what you’re selling and how it can benefit your readers. Yes, loads of spammy subscriptions are irritating and you probably delete most of the emails you’ve subscribed to without reading them. If you’re doing that then you aren’t the target market for those emails. Take note of the subscription emails you receive that you don’t delete and make a note of the reasons you didn’t delete them. Save them in a folder and apply their methods in your own emails. I have seen impatience in action. It usually results in a person starting a new business then getting despondent when they aren’t making loads of cash after a few months. So they start another business and repeat the same cycle. The result is that they waste a lot of time and money and are always battling. Don’t be that person. Increasing your list of quality clients and growing your turnover does not happen overnight. It takes time and consistency. But the sooner you start, the sooner you’ll see results. Depending on your business category, it takes 6 to 12 months of consistent awareness for people to start remembering who you are. If you don’t have a lot of work, and find yourself twiddling your thumbs because you don’t have orders – use that time to focus on your business, scheduling Facebook posts, writing articles, planning your Instagram posts, networking, etc – whichever methods you’ve chosen to build build awareness. If you battle with any of the above 10 steps to getting new clients, shoot me an email. I can help you with all of them in a way that is practical and easy to implement. If you’re not sure where to start with growing your clients, then grab my free Marketing Checklist to help you work that out. Here’s to your new clients! Keep going and keep growing.